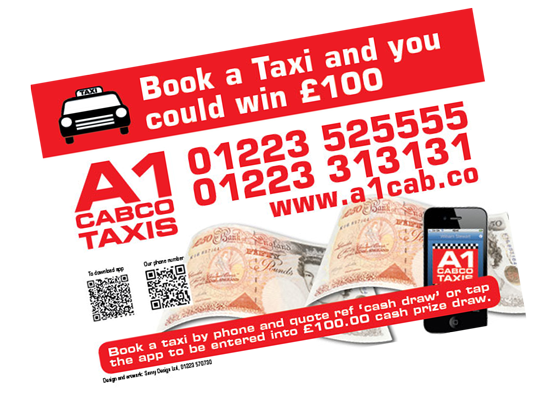 A1 Cabco Taxis regularly holds a prize draw where our customers have the opportunity to win £100 cash. or automatically be included into the draw by using our smartphone apps. "Meeting the winners of each draw and presenting the winners with the prize money has been really enjoyable and a great experience. Knowing that the money has gone towards saving towards a wedding, a christening, a holiday and a new smartphone amongst other things is a great way to say thank you to our customers for continuing to use the services of A1 Cabco Taxis"
"I was astonished to have received a telephone call from A1 Cabco Taxis giving me the news that I had won the prize draw. I have never one anything before and it was so lovely to meet one of the Directors. 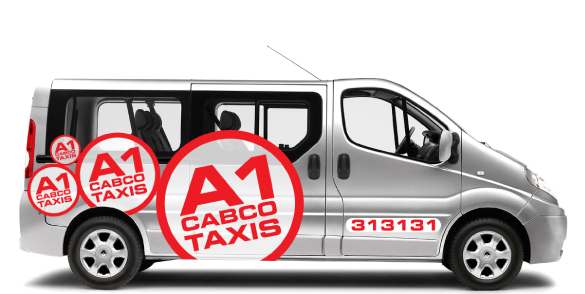 I always use A1 Cabco Taxis, know the friendly telephone staff by name and find the drivers to be helpful, polite and courteous"
"A1 Cabco Taxis runs an efficient, reliable service and I have used their services for many years. Winning the prize draw was a delightful bonus."